Discussion of intentional adulteration often focuses on malicious acts of sabotage. But historically, most cases of intentional adulteration were not carried out by terrorists, disgruntled workers, or murderous cults bent on wreaking havoc. The most common motivation for intentional adulteration is economics—perpetrators driven by nothing more than common greed. Profit-driven intentional adulteration is typically accomplished through dilution and mislabeling. Perhaps the most notorious ongoing case of fraudulent adulteration in the US can be found in the olive oil market. In a 2016 study by the National Consumer League, 6 of the nation’s top 11 extra virgin olive oil (EVOO) brands were found to contain lower quality oils. 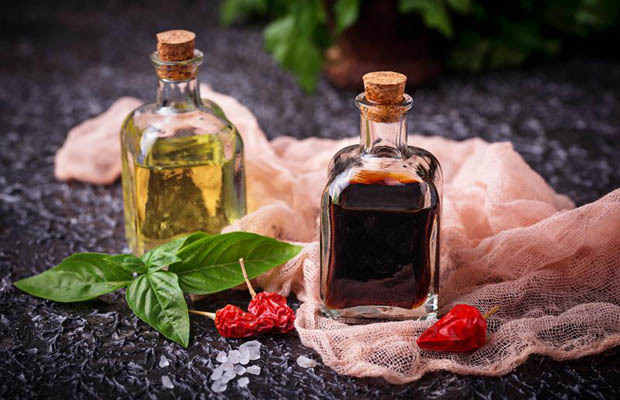 EVOO fraud in Italy alone is estimated to be a $16 billion industry, and experts estimate that up to 75% of the EVOO sold in US supermarkets is adulterated. Like many cases of economically-driven adulteration, olive oil fraud originates with unscrupulous suppliers. True EVOO is expensive to produce—it must come from the first pressing of the olive, contain no additives, and have not been heated during extraction to improve yield. The real product can cost upwards of $50 per gallon to produce. Unfortunately, standards for grading olive oil are largely unenforced on the international stage, allowing suppliers to substitute cheaper cooking oils for EVOO. Dilution: Real EVOO watered down with vegetable oil. The finished product retains enough of the flavor and color from the real component to fool many customers. Substitution: Non-virgin olive oil (oil that has been heated or otherwise processed) mislabeled as “extra virgin”. Notoriously, substituted olive oil often contains “pomace” oil, which is extracted from olive pits using hexane and other chemical solvents. The substituted product has a similar taste to true EVOO, but lacks many nutritional benefits. Chemical Adulteration: Beta carotene and chlorophyll can be added to sunflower oil to mimic the deep golden color and nutty smell of EVOO. Discerning consumers will notice the fraud immediately upon tasting, but a fake product is very difficult to spot on store shelves. Low-Grading: Real unprocessed olive oil that fails to meet quality standards is sold as EVOO. Often, this oil is leftover from the previous season’s pressing, and is starting to go rancid. Nation of Origin Fraud: Real EVOO from Turkey is relabeled as a product of Italy, which commands a higher retail price. In December, Italian authorities broke up a mafia-connected fraud ring that had relabeled 7,000 tons of imported EVOO for profit. Profit-driven EVOO adulteration comes at a high price, for consumers and the industry alike. EVOO has received the FDA’s endorsement for the health benefits linked to moderate consumption of monosaturated fats, which may reduce the risk of heart disease. EVOO is also contains more antioxidant polyphenols than vegetable oils, and it contains higher levels of Omega-3 and Omega-6 fatty acids than most seed oils. It’s bad enough that consumers are being cheated out of EVOO’s health benefits, but adulterated oil can bring risks of its own. If improperly refined, pomace olive oil can contain carcinogenic polyaromatic compounds including benzopyrene. Consumers of adulterated EVOO may also be inadvertently exposed to dangerous allergens, particularly from products diluted with peanut or other legume oils. The pervasiveness of EVOO fraud threatens the entire industry—consumers are growing skeptical, and may no longer be willing to pay a premium for a product they cannot trust. Fraud damages the credibility of honest producers, and the industry is fighting back. Authorities are taking action to prosecute olive oil fraud. In February, an elite Italian anti-mafia police unit arrested 33 suspected members of a olive oil fraud ring. The organization has alleged ties to the Calabrian mafia, Italy’s most powerful organized crime family. Police seized $42 million in assets; detectives believe the fraudulent olive oil trade may be as profitable for the Italian mafia as cocaine trafficking. American producers are fighting back, as well. The California Olive Oil Council offers laboratory certification for domestic producers, and the Department of Agriculture has expanded its voluntary testing program, whose participants display a “USDA Quality Monitored” seal on their products. Increasingly, bulk buyers who require true Italian EVOO are contracting directly with reputable Sicilian farmers, cutting out potentially corrupt wholesalers. You can’t build a fence to keep out suppliers who would place profits ahead of safety. No system of physical security or electronic surveillance will catch greed-driven crimes. To stop economically motivated adulteration before products hit the shelves, companies need a food defense program that includes auditing and the verified testing of ingredients. The Food Safety Modernization Act requires the adoption of preventive controls to address the potential for food fraud, especially for products like EVOO whose adulteration may introduce allergens or otherwise threaten consumers’ health. Producers using ingredients that have a known history of adulteration must take measures to ensure that the products they are using have not been contaminated. This could mean using a laboratory test to screen EVOO for polyaromatic compounds, or a company may choose to rely on an accredited third-party certification body to vet its oil suppliers. For preventing economically motivated adulteration, a strong corporate culture of safety is perhaps the most important factor. Olive oil fraud demonstrates the corrosive power of corporate corruption. When it comes to crimes of greed, a food safety plan will depend on the integrity of those charged with its implementation.